This is the closest we’ve seen Don Draper get to playing James Bond. 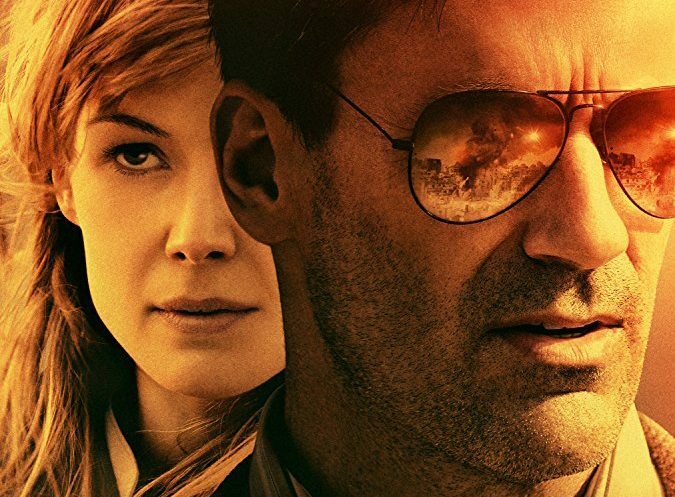 The film opens in early ’70s Beirut where Mason Skiles (Jon Hamm), a U.S. diplomat and expert negotiator, lives with his wife. A dispute over a young boy they’ve taken in turns into a shoot-out, and his wife is killed in the crossfire. After leaving Beirut without ever looking back, Mason becomes an alcoholic as he tries to drink away his terrible memories. A decade later, his past comes back to haunt him as he is requested to return to Beirut by a terrorist group who has abducted one of his former colleagues (Mark Pellegrino). Mason is forced to pick up the pieces he left behind so many years ago, as he bargains for his friend’s life in a city he wants nothing to do with. Beirut is written by Tony Gilroy (the Bourne films), who is no stranger to the type of subject matter presented in the film. Directed by Brad Anderson (The Machinist), the two prove to be a formidable team with this captivating thriller. Hamm brings his charisma and star power to the role, which elevates his character to an almost James Bond-esque status. Never have I wanted the St. Louis native to play the British spy more than I have while watching this film. Contingent on his accent, I see no reason why he wouldn’t make an incredible 007. Hamm does an excellent job as a man who has lost everything important to him, struggling to make it through the day only to stop from losing more people he cares about. The actor owns the role, especially during the negotiation scenes. Rosamund Pike plays Sandy Crowder, one of his closest allies during his mission, and is great as always in the role. The talented actor proves once again that she can play just about any part. Her character is smart and more than capable of seeing through the smoke and mirrors that go along with the politics at play. Pike has a great on-screen chemistry with Hamm, which never falls into any stereotypical romance that is so common in spy thrillers. Dean Norris (who took me a minute to recognize with a full head of hair in the film), Shea Whigham, and Larry Pine give commendable performances as the CIA agents who help to aid Miles and Sandy during negotiations. Idir Chender turns in a powerful and emotional performance as the terrorist who decides whether or not their friend gets to live. 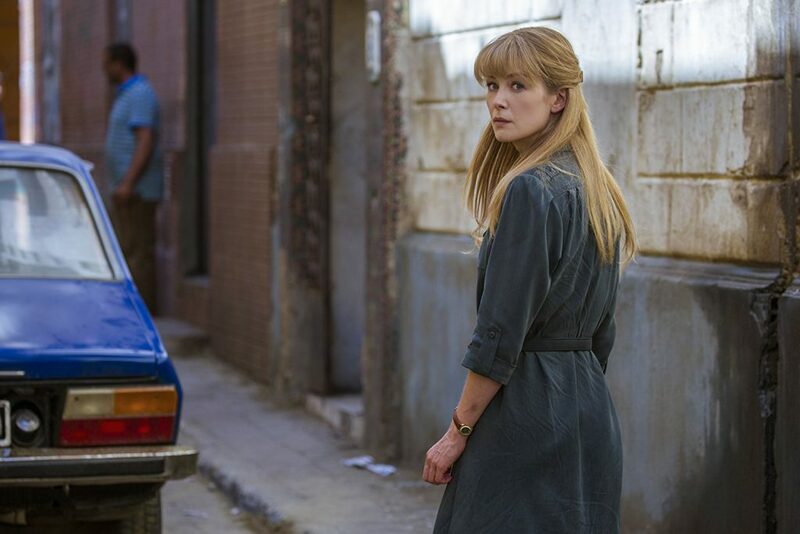 Beirut is an intriguing story about a time and place that I didn’t know much about going into the film. Packed full of tension for much of the 109-minute runtime, it is sure to keep you guessing from the edge of your seat. Hamm steals the show, with an undeniable screen presence and charm that I would love to see in more films like this.